In June last year, GigaOM reporter, Kevin Fitchard broke a major story regarding T-Mobile’s plans to bolster its LTE network. Now, he’s back with further information on T-Mo’s plans. In his report last year, Fitchard stated that T-Mobile would be adopting a technology known as 4×2 MIMO (multiple input-multiple output). With MIMO, multiple antennas send multiple transmissions between the transmitter and the device making downloads speedier. Almost all LTE networks currently use 2×2 MIMO. But T-Mobile is – in effect – doubling that strength, giving a more consistent performance. And plans are in place to roll it out this year. Incidentally, it’ll also make T-Mobile the first global network to use 4×2 MIMO. As we know by now, for the past months our favorite carrier’s been updating its LTE network to 10+10 and 20+20 bandwidths. This helps boost speed, essentially giving the carrier speeds up to a theoretical 150Mbps. But as many of you have made clear in the comments section for a long time, there’s some inconsistency in where these speedy downloads are available. Drive or walk a little too far outside of town and your speed drops. 4×2 MIMO would help give a more stable connection, particularly in fringe areas. With more antennas at the tower to pick up your phone’s generally weaker signals, you’ll get a big boost in your uplink connection. If all goes to plan, these new, spangly networks will be live in Chicago, Dallas and San Antonio. In fact, these networks have already shown up in tests around San Antonio. Now, in areas the network is being put in place won’t necessarily show any improvement in speeds. So don’t go expecting a massive speed jump. Unless you live in those fringe areas where connection normally stutters most. GigaOM’s report reports that Nokia’s head of tech expects a 50-60% speed bump in those areas. As for those in metro/stronger signal areas where speeds are already good, you should experience a much stronger and more reliable connection. Even in areas of high traffic, connection should remain consistent. Once more, huge tip of the hat to Kevin Fitchard for the scoop. Network nerds (you know who you are), let us know if you spot these networks in your area. Good to hear they are actively continuing the battle of improving their network. Great news! Glad to see Tmo improving their network. Since I joined Tmo again in late 2012, I’ve seen my coverage at home change drastically. Going from about 1 bar on the nexus 4 to now full signal indoors on the G2. Recent updates to T-Mobile Android phones report signal strengths differently, probably more based on actual signal quality rather than strength. For example, iy 5s will show 2 or 3 bars of LTE indoors, while an updated Lumia 925 or Galaxy S4 will show 4 or 5. And my experience has been exactly the opposite of that. I went from 2-3 bars 3/4G to 1 to 2 bars edge. A year has passed with multiple calls and complaints to no effect. I left Verizon for T-Mobile because their network was so bogged down making using the internet or online gaming a nightmare. T-Mobile lte network is screaming fast on lunch break with Verizon I was lucky to even pull 2mbps download speeds on my lte smartphone and on T-Mobile I could pull download speeds 10mbps on my lte smartphone. Correction now on my lunch break I pull between 15 to 27mbps. T-Mo speeds within the city may be great but if you leave the city limits and drive in rural areas or major corridors between cities like LA and Las Vegas, you get 2G bliss only. T-Mo should finally upgrade their network and provide usable data speeds along many major Interstates. Surely you’re aware of their large plans of doing so that are expected to be completed by next summer? I have read about it but honestly it’s about time. I get great download speeds in the city around my house but work in the boonies with only edge. (around 100-200Kbs speeds). This week I suddenly am getting HSPA at work with speeds of 5-6Mbs. So improvements to 2G/Edge seem to be already starting. Charleston, SC area. It’s coming. I have a friend with a horse farm almost two hours out of Chicago in farm country and I can pull down 35-40Mbps on my S4 out there. I know. I was embarrassed by my friend who only uses AT&T. T-Mobile gave me useless EDGE and GPRS on the way to Vegas. Couldn’t even connect to Maps or Pandora. Then I come home and I get my good speeds back. That’s why our T-Mobile experiences are so different like night and day. Those of us lucky to be in the city most of our day will be happier in general. Everyone else will be pissed. As much as I champion TMO (being the sole user on our neighborhood’s LTE service probably helps with that) I never hesitate to make no mystery of the fact that rural coverage can be abysmal at best sometimes. I love T-Mobile’s LTE network. Consistently fast and I hit 10-30mbps depending on the time. One niggle I have on my Nexus 5 is that when I try to manually switch the networks from LTE to HSPA or vice versa back and forth it’ll drop all data and won’t reconnect until I place a call to technical care or by sheer dumb luck it’ll grab a connection. Building penetration will get resloved when 700Mhz Block A/Band 12 goes live by the end of this year or middle of next year depending where you live. Not to mention the 600Mhz auction next year will be very important. Love my LG g flex thanks T-Mobile for being more reliable than Verizon. going to assume “food” was supposed to be “found” ;) maybe i’ll get more stable connections from the bathroom in my building now..
You got my hopes up that they’re bringing Carly back! Meanwhile, I’m looking forward to the LTE expansion…. I’ve had an Xperia Z for a month or more now and haven’t seen any yet. Does anyone know if my Moto X on TMo supports 4×2 MIMO? How can I find out? – Will this help people that are close to urban areas with fast speeds, but aren’t totally rural? I’m asking in reference to the customers in areas with little to no data speeds. – I’ve noticed a MUCH stronger cellular signal in the Dallas area, and calls being made on the 4G network, as opposed to 3G which was normal before. Would this have anything to do with this new network? Anyone with a Moto X or a Galaxy S5. Can you please post your download speed on T-Mobile LTE? I get 30Mbps on my Note 2 in Detroit. That’s older than those 2 phones but it should be the same. Thanks Cris! From Detroit originally. I get close to 30 down, 20 up on my s5. This is in Knoxville tn. Cam it is up and running on a couple of cities. 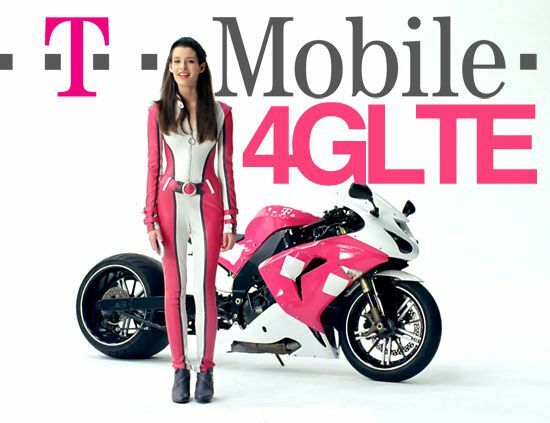 Head over to howardforums and go to the T-Mobile section….there is a forum about it. http://www.howardforums.com/showthread.php/1830640-T-Mobile-4×2-MIMO-LTE-live-in-NSN-markets! I would be happy to be rid of the “old edge” where I sometimes can make phone calls. It will be history with T-mobile’s footprint but you’ll continue to get Edge when roaming, which is most of the US. Hey Guys! long time … anyways T-Mobile has upgraded the LA Area again with 15+15 speeds!! previously 10+10….. starting this week now im getting speeds over 30 down and 20 up in areas of Covina i was able to hit 72.84 Mbps Down and 24.20 up and at home i hit over 40 with peak of 68 Mbps down pretty crazy were so close to 20+20!!!! I’m just 35 miles away. 72 Mbps is the most I have heard of. Any idea when this will come to Philly? Nice. What about surrounding Philly areas? I live in Northern DE and travel to Lehigh Valley all the time. Nice. Allentown is blanketed. As is Scranton/WB. It’s just 476 that is a laggard. Philly to Allentown isnt bad…quakertown exit area has 2G for a few miles. But 476 beyond the tunnels is a lost cause. oh, is that the affect of the MIMO 4×2? Quakertown now has LTE! North wales is strong and Doylestown is having LTE sightings! As far as I know I’m picking up LTE all over Philly area. The fastest speeds are in Havertown and Maple Glen, PA over 60 down the rest of the areas are getting 13-30 down. I was getting 1 bar of lte in my home after update to 4.4 month ago signal went up, that’s why I mention it. Within couple of months. Spoke to tech support yesterday. When I do a speed test I average out 35 DL and average 20 upload what kinda spectrum I got? I live in spartanburg sc 10+10 or 20+20. 10+10. 20+20 would give you up to 150 Mbps depending on the device. Awe. What ever happened to Carly? It’s not getting stronger in Vegas. It’s getting worse. I’ve been having issues with data dropping for the past couple of months. I thought maybe it was an iPhone thing until I got the M8 and nothing changed. Thanks for the Carly photo. We all miss her. We appreciate what Legere is doing, but she’s so much better as a corporate symbol! Hehehe. Thanks! I thought it had been too long since we last saw her. I did a speed test near the track in Daytona. I did one a speed test by Ball JHS in Anaheim, got 71.63 down and 24.29 up (HTC One). I have been seeing several improvements, from 7 to 10 to 20. Does this mean Carly is back? subtract expensive actor for commercials. add in savings for the customer. *#0011# does not work for me, I just get an error messagev(lg g2, 4.4) anybody know an alternate way I can see my channel width? The HSPA+ is still 3G. I prefer it over LTE since I experience better battery life with the signal being stronger in doors than LTE. While the HSPA+ gives really fast speeds I’d like to merge your idea of keeping 3G after hitting an allotment but set the speed limit to maybe 1mb down. That is still faster than Edge by doubling the speed of 2G and enough for live navigation directions, streaming music, etc.. But it will cause discomfort for those who use the network for large file downloads, movie streaming, or tethering. That would entice people to get an unlimited plan and be “uncarrier” with giving faster data speeds after being throttled. The other networks drop to 2G right? It would also move more people off the 2G network permanently as they lower it’s capacity further for adding HSPA+/LTE in the 2G areas. Or is this already being done with keeping people on 3G but capped at 2G speeds? Anyone who has been throttled, what network does the phone display? Your still on hspa/lte when throttled your speeds are just limited. Well yesterday I drove to malibu ca from los angeles my tmobile htc m8 had better service than my moms att galaxy s5 I was SURPRISED when att dropped down to “E” along the coast yes Edge while I had 4G right there then they was fixing some streets so we had to take another turn and we kinda got lost we went up a hill like a forest type of place I dropped down to Edge a few times on tmobile it was edge /4G hspa switching back and forth data worked fine so did calls att was Edge only then dropped down to “No service ” for a looong time while I had 3 bars of 4g hspa on.tmobile Finally I was able to find the 405 freeway n got on they both got lte, but I was quite surprised how tmobile worked better cu im always reading here how many people say tmobile craps out on trips with me it was the opposite att was the one that crapped out bad.. Your experience is rare. :p I sometimes roam off AT&T on road trips. I often switch back and forth between EDGE and AT&T. NOTHING TO do but has anyone tried on tmobile roaming in mexico? im going next month and scared to use it cuz last year i got a huge bill…i heard they new plans now have unlimited data while roaming but how is roaming coverage in mexico? is tmobiles plan worth it or am i better buy a prepaid sim and a cheap phone over there? I think its worth it just activate international roamin before u leave! Very important go to a tmobile store to see u have it active on your aaccount before u leave or else it wont work! The good thing really good thing is tmobile now has a roaming agreement with TELCEL before it was only MOVISTAR. But theres a trick once u land in mexico tmobile phones automatically connect to Movistar my xperia z1s and galaxy s4 did that. Go to network settings and choose TELCEL works much better Telcel is like the verizon of mexico coverage literally everywhere. Movistar is great if u in the city but if u travel by car over there Telcel has coverage along all the major highways were movistar dont. I was able to connect to telcel on both phones by digging in network settings in both phones and worked perfect calls,data,txt, data was kinda slow but still usable for fb,Twitter much better than buying a phone over there and sim so give it a try. I know I didnt talk a lot maybe 2 -3 calls back to the Us, I was mostly on fb n Twitter since data was free. But if even if you did call someone, I believe it is only 20 cents per minute now. Call 611 and ask. Once the 700 frequency is deployed that problem with all so disappear. By time 700 is out you will want a new phone anyway. Assuming either the phone I want is provided by T-Mobile, last time I bought a phone from T-mobile was in 2010, but ever since I’ve only used unlocked/international phones. Yeah I experience similar woes. At my morning school, I have terrific service (since we have a T-Mobile site at my high school) but at my afternoon school, LTE barely holds on as soon as I get in the building. Does anyone know, if all pay in advance/prepaid plans will get the unlimited international text messaging that starts today 4/26?? I have the Old $70 unlimited 4g plan. THANKS. i think its free with the $80 and $70 granfathered plan but you have to pay $10 to add it to the $50 and up plans. is it a postpaid account. If it is not postpaid, no you do not get it. If T-Mobile coverage is poor for you, why do you use T-Mobile?.. Would this make us have better INDOOR coverage in buildings? That is what I am looking for the most. It is especially bad when I am in shopping malls and my phone is in a dead spot…SIGH…. Yes it theoretically should but not as much as the low band spectrum will which you will need a new phone to access. Cam you should of chosen a better pic lol. I bet you disappointed most of the guys that first saw this post and thought maybe Carly was coming back.. A lot of old readers of this site had the same infatuation with Carly Foulkes that David Beren did which I’m sure you are well aware of just saying. I hope TMO looks into pCell technology by Aretmis. Don’t let Verizon beat them to the punch especially in major cities. I have the Moto G which doesn’t support LTE. Will I get HSPA speeds after the 2G to LTE upgrade or will it just be LTE then drop down to 2G? That’s not completely true, I live in Oxford, MS and other than a very small area near the university the rest of the town is EDGE for now. Hopefully that will change soon, the area that gets LTE has been 10.5 Mb down very consistantly. I was at a busy park in a populated area next to a freeway with a T-Mobile phone. It kept bouncing between 2G and no signal the whole time I was there. Lesson learned, bring the AIO sim next time. Lolwut? You’re trying to tell us that T-Mobile’s network isn’t almost entirely EDGE? Come on. I love T-Mobile and use them, but you can’t tell me that I’ll experience 3G/4G for most of a road trip if I took one. Now how about about some farking coverage in Idaho/Montana/Wyoming? I doubt that’ll happen until after the broadcast auction.